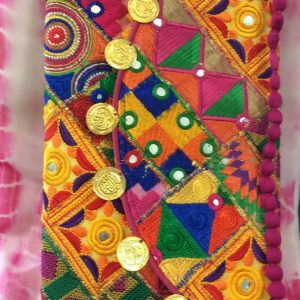 Gujarat Cotton handmade banjara style Patch work and mirror work handmade Coin Clutch purse. 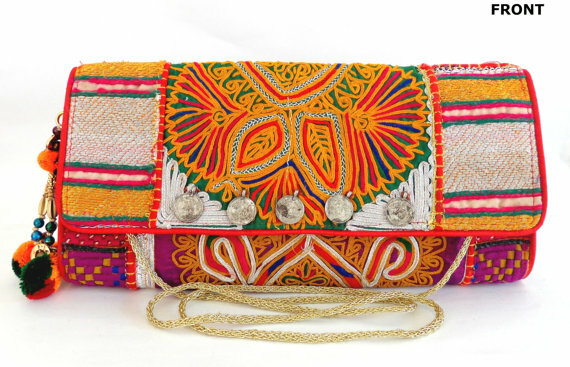 It has both side fully embroidered,mirror work and coin work bohemian tassel/pompom. 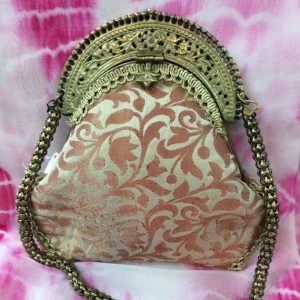 Decorated with handmade thread string handle and old Coin. Materials used for creating this masterpiece are from antique vintage materials.